Please read the GENERAL BACKGROUND INFORMATION PAGE before reading this page. What is a Petition for a Declaration of Nullity? A Petition is a formal request made to a Diocesan Tribunal (local Church court) to perform a particular action or to hear a specific case. A Petition for a Declaration of Nullity is a formal request made by one of the parties in a mar­riage that a Diocesan Tribunal study the possible nullity of his/her marriage. Through a pre-determined legal process, the Tribunal will study the marriage in question and, at the end of the study, will respond to the question: “Has the nullity of the X-Y marriage been fully proven on the grounds of Z?” This question can be answered in the affirmative or the negative, but it must be answered one way or the other. In other words, at the end of the process, the legal doubt concerning the validity of the marriage in question must be resolved in a document (the Definitive Sentence or the Decision) written by the Judge. In most tribunals in the United States, the pro­cess used to arrive at the above-mentioned con­clusion is handled either by individual interviews or by written correspondence–sometimes by a combination of both. It is not an adversarial scenario where the parties and their witnesses gather together in one place and confront each other (like a civil courtroom). It would be highly unusual for any of the parties and/or witnesses to actually meet each other face to face during the process. Why Do We Need Witnesses? When the Petitioner presents his/her request that the Tribunal study the possible nullity of his/her marriage, the statement “My marriage is null” is an allegation – i.e. an unproven assertion. The Tribunal uses witness testimony to help determine if the allegation of nullity has been proven. The Tribunal is not interested in assigning blame for the failure of the relationship, and is not concerned with finding moral fault with either spouse. We are, in fact, not so much interested in why the marriage “broke up” as we are in whether or not it began properly. The Diocesan Tribunal is contacting you because one of the parties of the case – the Petitioner or the Respondent – submitted your name and address as a witness in a case involving his or her marriage. Hopefully, that person has already spoken with you of your willingness to participate in this case. The Petitioner/Respondent is depending upon your participation to assist in firmly establishing the true status (valid or null) of the marriage under study. Therefore, it is vital for you to furnish as much first-hand information as you are truthfully able regarding the Petitioner, the Respondent, and their relationship. We do not expect you to know everything about the marriage under study, but we do need for you to share with us whatever pertinent information you do have. The fairness, honesty, and justice of the Tribunal’s conclusion regarding the validity/nullity of a marriage virtually depends entirely upon the completeness, truthfulness, and reliability of the information the Petitioner, Respondent, and their witnesses share with us. From the Tribunal’s point of view, the most valuable witnesses are those who knew both the Petitioner and the Respondent during their courtship as well as during their marriage. Prospective witnesses have some first-hand knowledge of the parties and their marital relationship. Second-hand knowledge, hear-say evidence, and character witnesses are of very limited use to the Tribunal. Because of the sensitive nature of this investigation, it is important that you answer the questions appropriately. For that reason, please do not respond to items on the questionnaire with one word answers. Such answers are a waste of your time, as well as ours, since they furnish us with no usable information. It is helpful if you answer each question in complete sentences. Do NOT write on the questionnaire itself. For that reason, you should type or write your responses clearly in ink on separate sheets of paper, writing on one side only. Number each question being answered. Avoid “yes” and “no” answers. Also, if you cannot answer a specific question, it would be helpful if you indicate briefly why you cannot provide that answer. It will also be helpful if you state briefly how and when you came to know the information you are providing to each answer. Did you observe something personally, or hear about it when it happened, or learn about it only after the fact? The more details you provide, the more you may help us to resolve this matter. Your personal opinions may also be helpful: even if you answered that you have no direct knowledge of what is being asked, your opinion may help the Tribunal judge to understand the situation better. An opinion is no substitution for direct knowledge, so it is important to state that you are offering an opinion and not a fact. The Tribunal will always consider your answers in light of all the testimony received in a case. The judge will weigh the testimony and consider how long you and other witnesses have known the parties, your relationship with them, and your knowledge of the marriage in question. Your testimony is very important, but it is not the only information which will be considered when the judge begins to reach a decision in this case. What if I Cannot Respond to the Questionnaire? For one reason or another, sometimes witnesses cannot type out or write out the answers to what is asked in the questionnaire. It often best serves the needs of the Petitioner and/or the Respond­ent, if you are able to come in to our office for a personal interview. We find that oral tes­timony most often is much more complete and valuable. If you prefer to give your testimony in person, please telephone our Tribunal Office between 9:00 AM and 5:00 PM, Mondays through Fridays (except holidays). An appointment with one of our Tribunal staff can be arranged for you. The parties in the case have the right to know who the witnesses are, and after all the testimony has been gathered, to come to the Tribunal office, if they wish, to review the testimony that has been collected. The Petitioner and the Respondent will also have the opportunity to disagree with the testimony, if they wish to, by offering additional evidence or testimony to contradict anything they disagree with. Yet, when you, as a witness, give testimony, if there is something that you do not want one or both of the parties to this case to know from your testimony, you must indicate this clearly on the Disclosure Form. However, if a witness withholds his/her testimony and one of the parties wants to read it, Church law forbids the Judge to use any unique information contained in the withheld testimony when he makes his final decision regarding the validity/nullity of the marriage under study and writes the Definitive Sentence. Confidentiality is very important to the Tribunal. Only those persons who have the legal right to learn information about the case will see your testimony. This is generally limited to the Tribunal staff, the parties in this case, and their Advocates. No one else has a right to see your testimony, and the Tribunal will keep confidential both the fact that you offered testimony as well as the content of that testimony. Be sure to keep a copy of whatever you mail in to the Tribunal. We have sometimes experienced problems with mail going astray in the postal system. It is our custom to acknowledge receipt of written testimony within a day or two. If you do not receive such an acknowledgment within two weeks of mailing something in, please contact us to determine whether or not we have received your letter. Since it is not a secure means of communication, we CANNOT accept any testimony via e-mail. 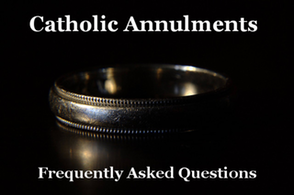 As you can see, the annulment process is lengthy and the investigation in-depth. 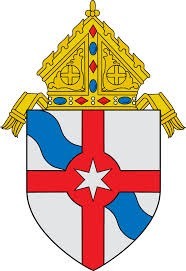 If you have any questions or concerns, please do not hesitate to contact your parish priest or one of the staff members of the Diocesan Tribunal.